MEMPHIS, TN (WMC) - A potent low pressure will move northeast out of Texas Saturday morning and move through the Mid-South during the evening and overnight hours. The Storm Prediction Center has placed an ENHANCED Risk of severe storms over parts of East Arkansas and North Mississippi primarily south of a line from Marianna, Arkansas east to New Albany, MS. A SLIGHT Risk extends north of that from Cash, AR to Selmer, TN. 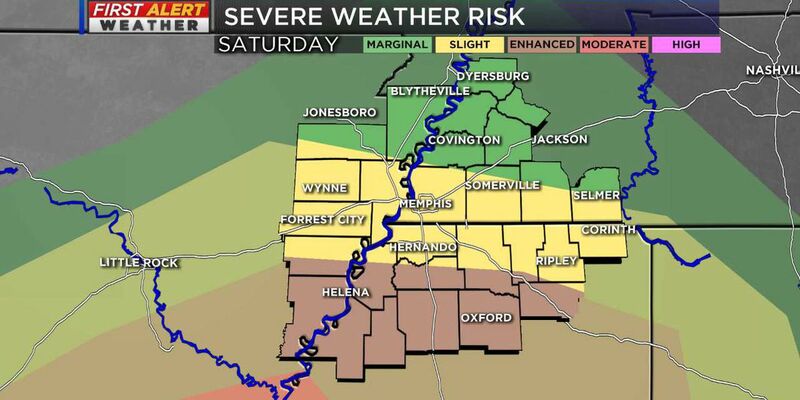 Memphis and Shelby County are included in the SLIGHT Risk area. Scattered showers with a few isolated storms will move through the area during the early morning hours into the early afternoon. Severe storms will be less likely during that time. Heavy rain and storms will move in from the west from 6 p.m. to midnight. These storms will have the potential to be strong to severe. 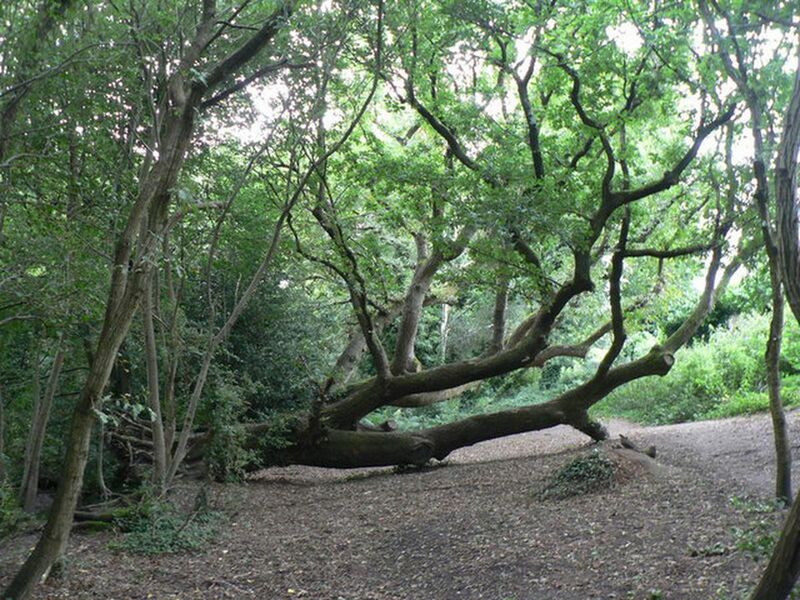 Isolated tornadoes-the threat for tornadoes is low but the chance remains. Stay weather aware through the day Saturday. Have a way to receive weather watches and warnings. If you have a weather radio make sure it is ON. 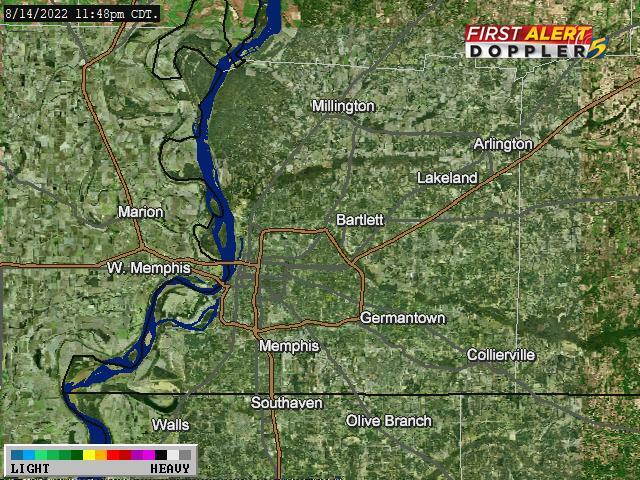 Have the WMC Action News 5 First Alert Weather app on your smart phone or iPad. 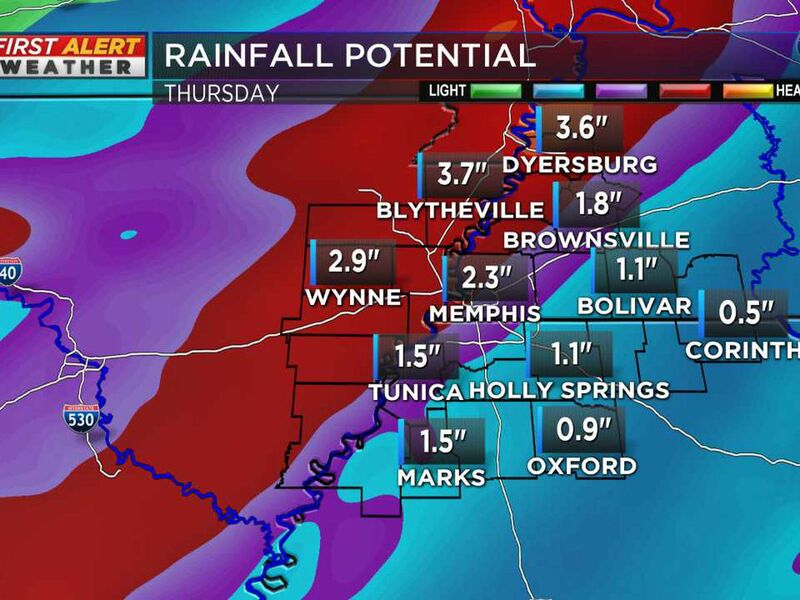 Stay tuned to WMC Action News 5 and the First Alert Weather Team for further updates.